Message: Thanks very much for the interesting mail. I will look into it! 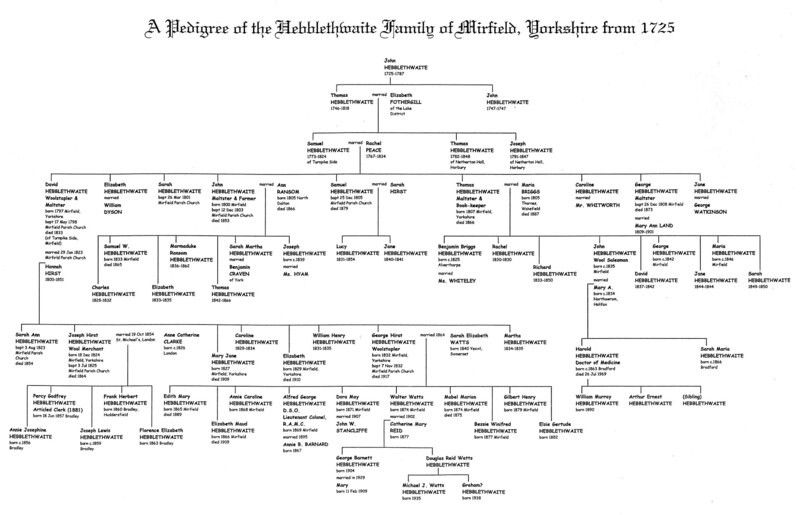 During my research I have found many different spellings of Hebblethwaite, Heblethwayte etc. (Check out the Boynten family page! Great pictures of the crest.) In addition I believe that some folks find "Hebblethwaite" too cumbersome, Heblet would be a good shortened form. 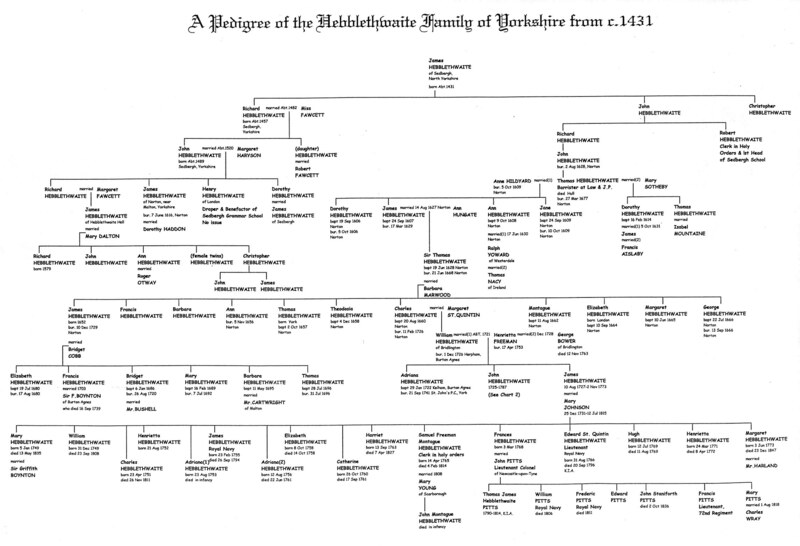 My grandfather, for example, changed his name to Heller, he had four sons, three remained Hellers as their families remain today, my father, the fourth son, changed his name back to Hebblethwaite. It is very difficult to follow any name changes going back past more than two generations. As to the two charts I gave to the Hebblethwaite page..... A second cousin once removed, Keith Hebblethwaite did most of this research " on foot" back in the 50s, he travelled, procured church recods etc. He produced several hand written charts of which these are two. With the help of a local Yorkshire gen. research company and my own efforts I have tried to confirm as much as possible. My second cousin was a little eccentric, he often wore Victorian clothes and a top hat! He was very interested in Sir Thomas Hebblethwaite (spelling?) 1628-68 who married Barbara Marwood. The Marwood family has connections going back to the Percies of Northumberland (Hotspur fame! ).